We at Parishcouncil.net have been making websites for Parish and Town Councils since 2002, and have been incorporated as a limited company since 2004. Our Director, Neil Pfister, founded the company when he was leading a team working on the redevelopment of a central government website, and was asked whether he could build a simple, effective, cheap and easy-to-maintain website for a Parish Council in Derbyshire. Years later and now Parishcouncil.net is a the largest supplier of bespoke websites to Parish and Town Councils in England and Wales, with four dedicated employees ensuring that we not only deliver the website that your Council needs, but maintains a superior level of support and commitment throughout the life of the website. By only making websites for Parish and Town Councils, we have become specialists in what makes a good Parish Council website, providing a product that is affordable for councils; is very simple for a clerk or councillor to update and maintain, and of course knowing what support and assistance is required to keep your website running effectively. Neil is the Director of Parish Websites Ltd (trading as Parishcouncil.net). Neil has a background in both I.T. and Law, having worked initially for the Legal Services Commission as a Policy Officer in charge of the CLS website. Neil also holds a practicing certificate in Law, and acts for a number of I.T. clients in addition to his work with Parishcouncil.net. Neil's interests include travelling, squash, cricket, rugby and, when allowed or manages to get an afternoon off - golf. Cecilie joined Parishcouncil.net as General Manager in November 2014 and is the main point of contact for all new and existing councils. Originally from Norway, Cecilie is also a qualified Commercial Pilot and flight instructor, and can regularly be seen flying or teaching other pilots across the skies of Surrey and Hampshire. 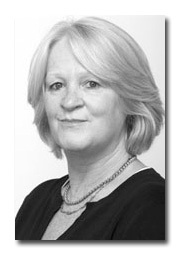 Debbie joined the company in October 2011 and now manages all our marketing and publicity for Parishcouncil.net. Debbie has a background in owning and running small businesses, and brings with her a wealth of experience in client relationship management. 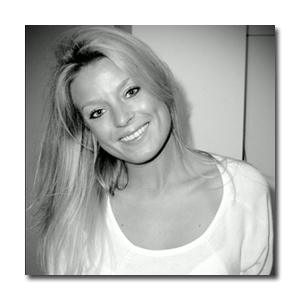 Debbie is married with four children and enjoys sailing, gardening and walking with her dogs. Colin is one of our main developers, and is in charge of all the clever software and code that hides behind the websites (and makes it so easy for you to maintain and update the site without any knowledge or experience of coding or managing websites! ).